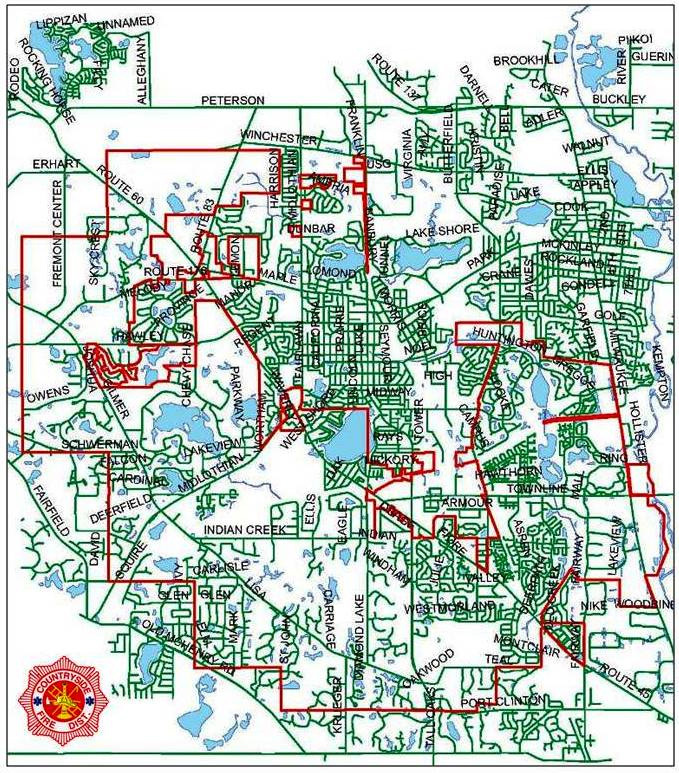 The Countryside Fire Protection District is a stand-alone municipal taxing district, similar to school and library districts, that provides fire protection and emergency medical services to over 24 square miles of Lake County, Illinois. Countryside serves a population of over 35,000 in all or a portion of the villages of Vernon Hills, Long Grove, Hawthorn Woods, Indian Creek, and Kildeer as well as unincorporated sections of the county (District Map). The District has been accredited since 1998 by the Commission on Fire Accreditation International, part of the Center for Public Safety Excellence. Accreditation is an assessment process that uses benchmarks to measure the delivery of fire and emergency services to a community with the ultimate goal of providing continuous quality improvement and improved service to the community. Being accredited makes Countryside a member of an elite group of less than 150 other departments internationally and 12 others in Illinois that have achieved similar status. Countryside has a call volume of over 4,100calls per year. The District operates out of two stations and has over 90 full-time, part-time, contract, and volunteer personnel. Fire Prevention, Public Education, Dispatch/Emergency Communications, Fire Suppression, Advanced Life Support Emergency Medical Service and Transport, Disaster Preparedness, Wildland Fire Suppression, Hazardous Materials, and Technical Rescue including Water, Ice, Confined space, Trench, High Angle, Structural Collapse, and Extrication Emergencies.